WhisperWood Cottage: Thank You, Flea Market Style Magazine! 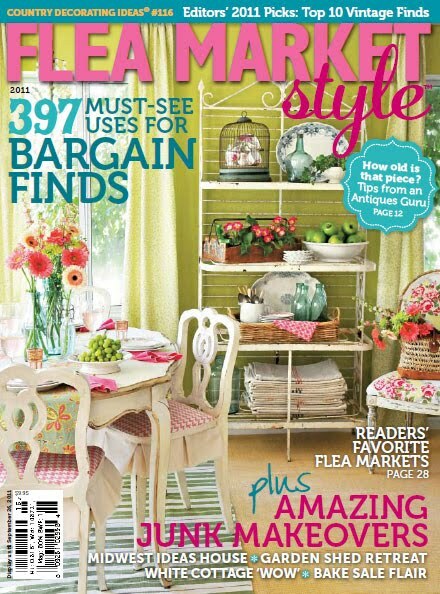 Thank You, Flea Market Style Magazine! 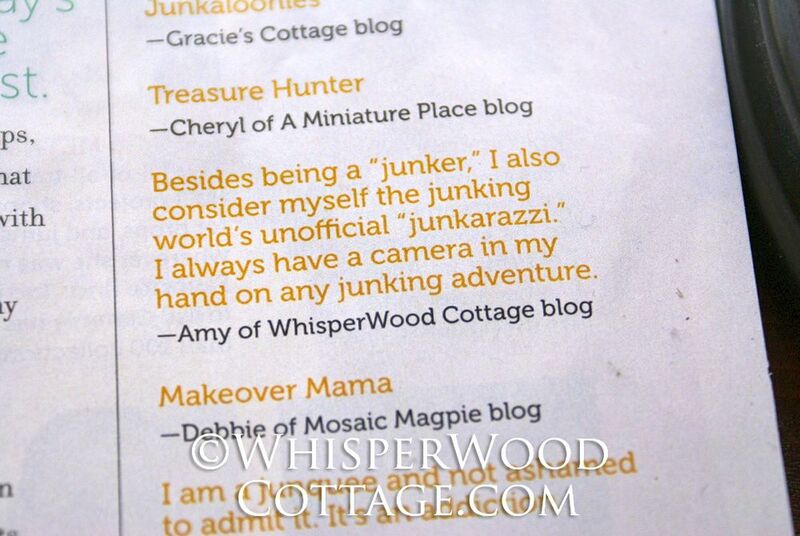 Found a great little surprise in the new issue of Flea Market Style Magazine! Thank you, FMS team, for including me in your "What's Your Favorite Nickname?" section on page 3! There are tons of great bloggers quoted and featured throughout the issue. I guarantee that you will see many of your favorites featured. From Donna and Marian to Layla, Trina, and Melaine...plus many others! Ki, Heather, Margo, and the rest of the FMS team pulled together a creative and inspiring magazine! How awesome! Good for you, it was a great quote! I cannot wait to see the copy! The wait is killin' me. Thanks for the mention! That is wonderful and I cannot wait to get ahold of this magazine!!! Very nice Amy! Should we start calling you Miss Junkarazzi! Lol. I love it, your pics are pretty good you know. Happy for you! CONGRATS Amy!!! You DESERVE IT! You are one TALENTED and Sweet gal! I need to check out that mag!